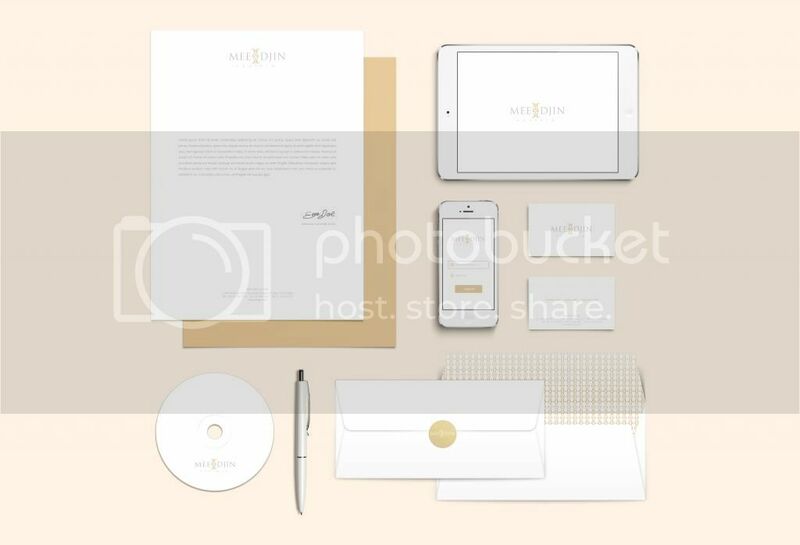 Re-designing corporate identity is always a challenging task. Decided to keep using the old logo because it's not only chic but presenting the company very well, and choose to change the color corporate logo and overall appearance of the company to show the elegant side and make it more modern. 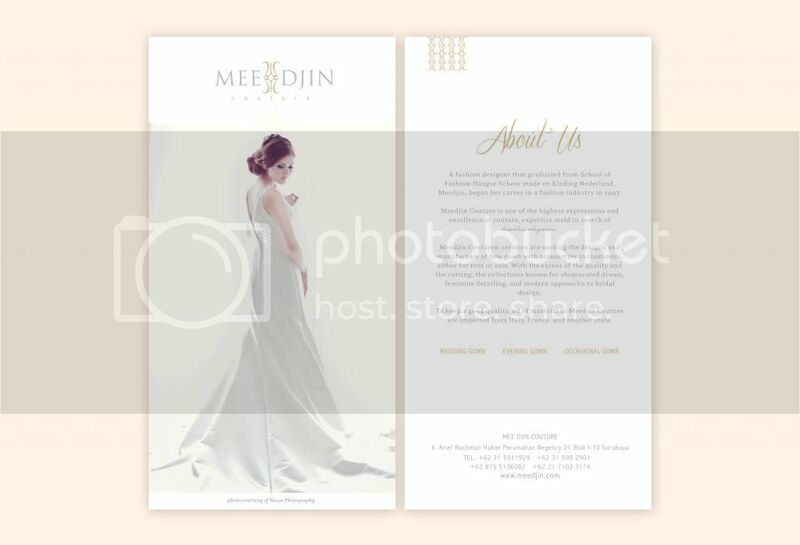 Mee Djin Couture is one of the reputable bridal in Surabaya for its service and design, offers a wide range of wedding and party dresses collection. And began expanding into the lifestyle. Quoted from their website: "Mee Djin is now one step closer to your life. We can customize your corporate uniform that looks professional yet still stand at the front of current fashion. Mee Djin also comes to assist your interior design project."